Rumor mill: Microsoft's long rumored disc-less Xbox One S has shown up in a leak from WinFuture.de and offers a glimpse at what the console could look like. Granted, there aren't many ways an Xbox One S minus an optical drive can look. More surprising is the price. At $260, it may not be the bargain we'd hoped for. Time will tell, though. Rumors have been swirling for some time regarding Microsoft's disc-less Xbox One S, and at this point, there's really no doubt that it's happening. In fact, German Windows site WinFuture.de claims to have obtained images showing off exactly what the "All Digital" console looks like. Surprise! It looks like an Xbox One S sans an optical drive, which is probably exactly how everyone envisioned it would. Other images show the box illustrating "disc-free gaming" and a symbol indicating the lack of a Blu-ray drive. Hardware wise, the new console purportedly comes with a 1TB HDD preinstalled with Minecraft, Sea of Thieves, and Forza Horizon 3. Oddly enough, there's no mention of Xbox Game Pass, which Microsoft is rumored to be overhauling into Xbox Game Pass Ultimate. While the look of the console is likely no surprise, the alleged price is -- $260, which is quite a ways north of the rumored $199 price tag. Still, this is a leak, and that number could change or not be accurate to begin with. The new all-digital Xbox One S could be announced as soon as April 16, with a release date of May 7. 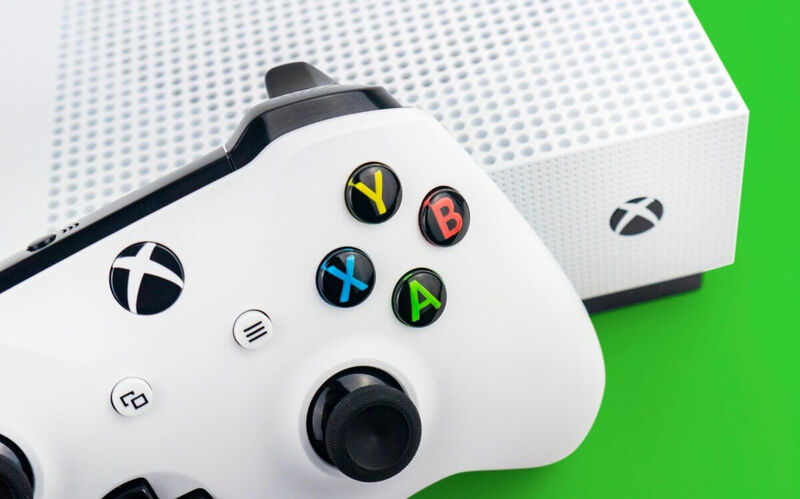 A disc-less Xbox is something of an experiment for Microsoft, meant to test the waters for a more digital media focused platform ahead of its next generation console and Project xCloud.